How do I do a conservation easement and how much will it cost? Tax Credit Connection has created a Step-by-Step Guide To Donating a Conservation Easement. Our three page guide will explain every step of the process of donating a conservation easement and go over the range of costs for each professional. Also, call us anytime and we’ll be happy to walk through the steps with you and talk about your unique circumstances. We are also happy to help you select the experts who work in your area. What are conservation easement tax credits? Donors of conservation easements are eligible for conservation easement tax credits under Colorado law. These are credits that may be used against your Colorado state income taxes. Conservation easement tax credits may be used by you over a 20 year period, sold to other Colorado taxpayers, or, in years of budget surplus, partially refunded to you by the State. What is the maximum credit amount I can receive for my donation? Starting in 2015, the state increased the amount of the credits a landowner can earn. You will earn 75% on the first $100K and 50% of your remaining donation up to the cap of $1.5M. For example, if your conservation easement is worth $200K, you’ll receive a tax credit of $125,000 ($75K for the first $100K in donation value and $50K for the second $100K in donation value). Another example is if you donate a conservation easement worth $1M, you’ll receive a tax credit of $525,000 ($75K for the first $100K in donation value and $450K for the remaining $900K in donation value). How do I know the value of my donation? The value of a conservation easement tax credit is based on the appraised value of the conservation easement. A qualified appraiser will determine how much your land value has decreased as a result of placing conservation easement restrictions on your property. The appraiser will consider the value of the property before the conservation easement restrictions and the value after the restrictions. For example, assume you own a property that could be sold for $2,000,000 today. If you placed a conservation easement on your property that limited its use to agriculture with one house, its value today might only be $1,200,000. In this case, you have reduced the value of your property by $800,000 by restricting its use through a conservation easement and you have $800,000 in donation value. How can conservation easement tax credits be sold? 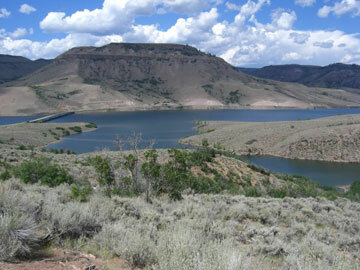 Colorado law provides that donors of conservation easements may transfer their tax credits to other Colorado taxpayers. You may sell your credits by yourself or through a tax credit broker such as Tax Credit Connection, Inc.
What are the benefits of selling a credit? Donors of conservation easements may sell their credits and receive cash payments for their credits. Even with a discount on the credit amount, this will often be more favorable as it could take you many years to use your credits. You may sell all of their credits or keep some for yourself. Please talk to your accountant to discuss the best timing for selling your credits. How much money will I receive for selling my tax credits? Sellers will receive 85% of the value of their tax credits. For example, if a Seller wants to sell $100,000 worth of tax credits, that Seller will receive $85,000 in cash. This is after the buyer’s discount and our fees have been taken out so you keep the full $85,000. Who can sell a credit? A Colorado taxpayer who donated a qualifying conservation easement and received a tax credit certificate from the Colorado Division of Real Estate. What is the smallest tax credit I can buy or sell? Tax Credit Connection, Inc. will sell credits of any size. Additional fees may apply for tax credits that total less than $50,000. When can I sell a credit? You can sell your tax credits as soon as you have completed your donation and received all of the required documentation. One of the requirements is that you receive a tax credit certificate from the Colorado Division of Real Estate. Tax Credit Connection, Inc. reviews all of your documents to make sure everything is in order and helps with the application process with the Colorado Division of Real Estate. In order for buyers to use your credits against their 2017 taxes, you will need to sell your credits by April 15, 2018. Regardless of when you sell your credits, you will still receive the full 85%, so there’s no reason to wait! Please see our Registration Form for a list of the documents we’ll review on your behalf. Are there requirements for the conservation easement donation to qualify? To qualify, a conservation easement donation must meet certain federal and Colorado requirements. The conservation easement must be donated to a qualifying 501(c)(3) non-profit entity or governmental unit that has also been certified by the Colorado Division of Real Estate. The conservation easement must be perpetual and meet other standards. A qualified appraisal detailing the reduction in value due to the conservation easement is also required. Simply download the Seller’s registration form from our registration page, fill it out and return to Tax Credit Connection, Inc. or call us and we’ll fill it out over the phone for you. For more information, view our articles.